Hotel pick-up at 6pm. The guide will wait you at the hotel lobby, by holding a paper sign with your name on for you to recognize. Drive to the CCTV Tower, which is the world’s sixth highest towers. 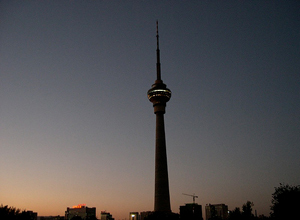 In the tower, you will have a romantic dinner at the 360° Revolving Restaurant at 238 m high; simultaneously enjoy a panorama of night Beijing. Be transferred back hotel around 9:00pm.